Rourkela: Model United Nations (MUN) is a conglomerate that tries to replicate the structure and functioning of the United Nations. It truly disseminates some of the core values and the inherent message of the UN to ambitious young adults. 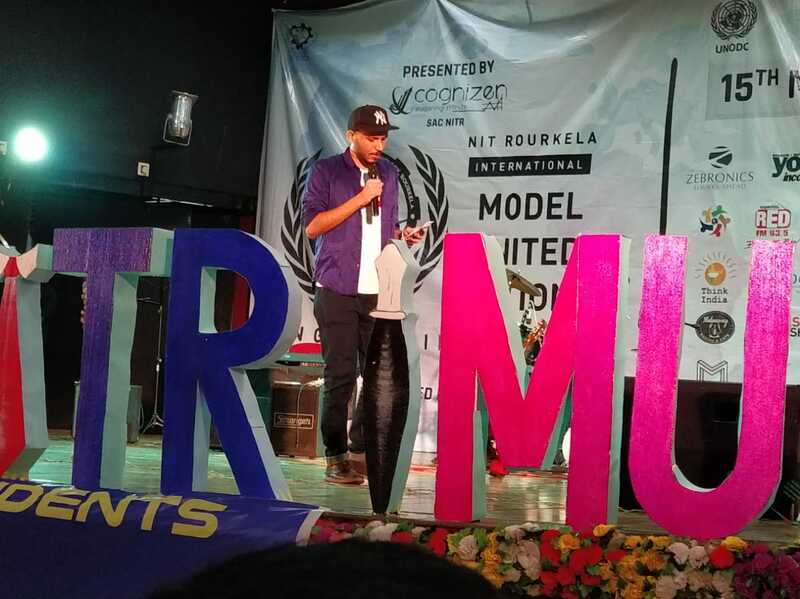 The Cognizen club of NIT Rourkela organized the second edition of International Model United Nations (IMUN). With this edition attracting over 200 plus delegates, participants got a very good platform to sharpen their debating skills and broaden their knowledge on current affairs. The second edition of NITR IMUN commenced with some interesting sessions like UNGA-DISEC (United Nations General Assembly- Disarmament and Security), UNHRC (United Nations Human Rights Council), UNODC (United Nations Office on Drugs and Crime), Lok Sabha, the session of UNGA-DISEC. NITR IMUN “She for Shakti” was unveiled, which is in support of the “He for She” campaign of the United Nations. This initiative again aims to promote gender equality. This was followed by cultural events of Ritvic and Synergy. In the closing ceremony Dean Student Welfare, Professor Simachala Panigrahi and President of Student Activity Centre, Professor Snehashish Chakraverty encouraged students to organized more such programmes. The prominent attraction of the evening was the guest lecture by a globally renowned entrepreneur Sharad Sagar. In this matter, The Director General of NITR IMUN 2019, Yash Shah says, ‘’Everything that was planned had been executed. The event was successful due to the hard work and sleepless nights of first and second-year team members as well as our senior year mentors and alumni. The best part of the event was the participation of School Students. Their happy faces made our day. The event was a success also because of our sponsors, partners and the NITR Club Collaborations we had. Overall, the event was appreciated by the participants, their critical feedback has been noted. This will help us improve next year’’.